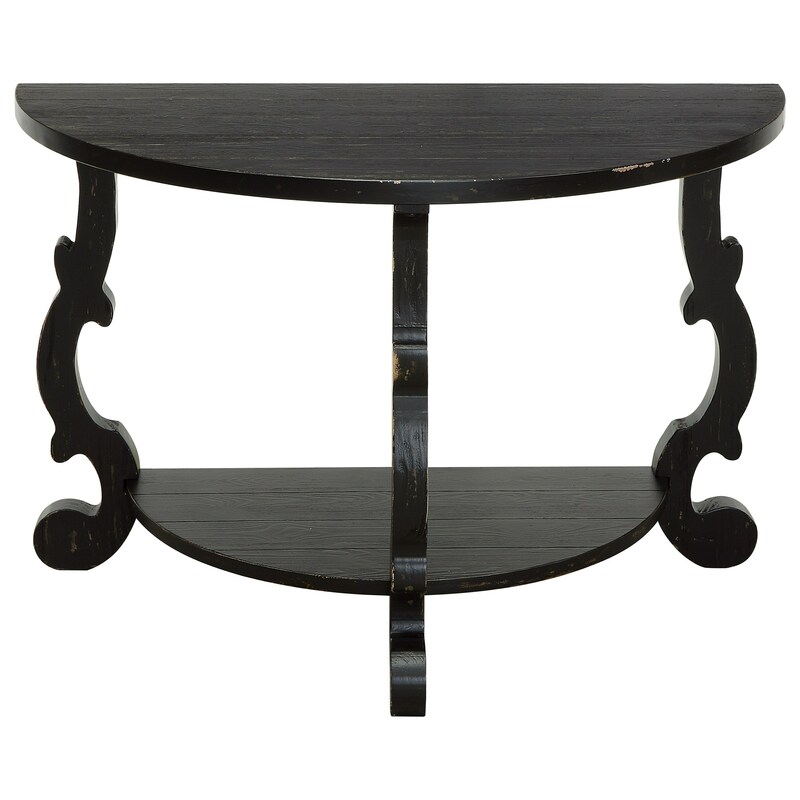 Our semi-circular demilune console table is just right shape for under a mirror or framed art print, ready to hold a vase of flowers or a stack of books and a statuette. Finished is our deep Orchard Black Rub, the planked top and lower shelf are bound together by three charmingly crafted curved legs, for a look that is an all-round standout! The Coast to Coast Accents Demilune Console Table by Coast to Coast Imports at Miskelly Furniture in the Jackson, Pearl, Madison, Ridgeland, Flowood Mississippi area. Product availability may vary. Contact us for the most current availability on this product.